The Business and Economics Board is an industry board providing curriculum guidance, expanding relationships with business, government, industry and the not-for-profit sectors, and actively fund raising. 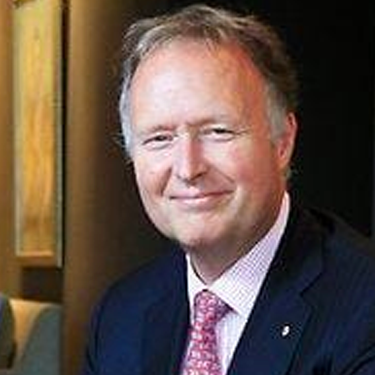 Peter is Deputy Chairman of The Myer Family Investments Ltd and a Director of AIA Australia Limited. He is Chairman of the Royal Institution of Australia, the Australian Science Media Centre, the Royal Children's Hospital Foundation and the Shared Value Project and Deputy Chairman of Asialink. Peter is a Director of the Royal Children's Hospital, the Centre of Excellence for Quantum Computation and Communication Technology at UNSW, the Australian Chamber Orchestra and the NHMRC Centre for Personalised Immunology at ANU. From 2004-2007 Peter was Managing Director of Oceania Capital Partners and held the position of Chief Executive Officer of Publishing and Broadcasting Limited from 2001-2004. Until 2001 he worked in the Investment Banking industry including 15 years with Macquarie Bank. He holds a Doctorate of the University from Murdoch University, a Masters degree from Stanford University Graduate School of Business and a Commerce degree from the University of Melbourne. He speaks Japanese, having studied at Keio University in Tokyo. Peter has been a director of Publishing and Broadcasting, Crown Ltd, Foxtel Ltd, The Nine Network, Ninemsn, Ticketek, Veda Ltd, Oceania Capital Partners Ltd, the National Portrait Gallery, The Melbourne International Arts Festival, Centre for Independent Studies, MOKO.mobi and the Australia-Japan Foundation. In the June 2011 Queen's Birthday Honours, Peter was awarded a Member of the Order of Australia for service to education, to the financial services industry and to a range of arts, science and charitable organisations. Chief Executive Officer of Flagstaff Partners Pty Ltd, an independent corporate finance advisory firm. 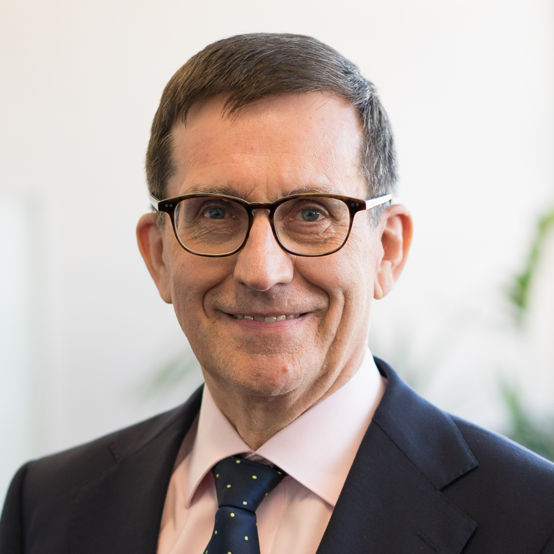 Mr Burgess has over 30 years of experience in corporate finance in Melbourne, London and New York and was previously Global Co‐Head of Mergers and Acquisitions for Deutsche Bank AG, based in London. Mr Burgess holds an MBA (with Distinction) from Harvard Business School (1985) and a Bachelor of Commerce (with First Class Honours) from the University of Melbourne (1981). He is a member of CPA Australia and a Fellow of the Financial Services Institute of Australasia. He is a Director of the listed investment company, Diversified United Investment Limited, and is Vice Chair of St Vincent’s Institute Foundation. Paul Kofman was born in the Netherlands and completed a masters degree in Economics at Erasmus University, Rotterdam in 1987, and a PhD in Economics in 1991 at the same institution. He commenced his career as a lecturer in Finance at Erasmus University in 1991, before migrating to Australia in 1994 where he has held a number of senior University roles including as Deputy Dean (Faculty) from 2010 until 2012. He was appointed Dean of the Faculty of Business and Economics and Sidney Myer Chair of Commerce from 1 May 2012. 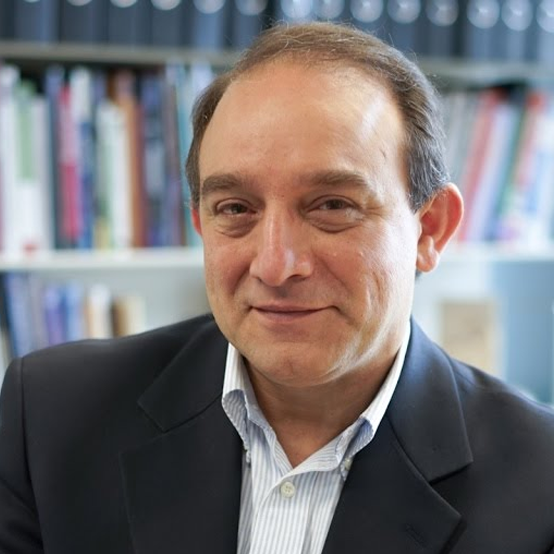 Professor Kofman's main research interest is in quantitative finance, but he has also published papers in leading journals in international trade, econometrics, and actuarial statistics. He has undertaken consultancy work for the European Options Exchange, the New York Board of Trade, the Central European University, a number of Dutch investment banks, the Dutch Centre for Actuarial Statistics, the RACV, and the AOFM. 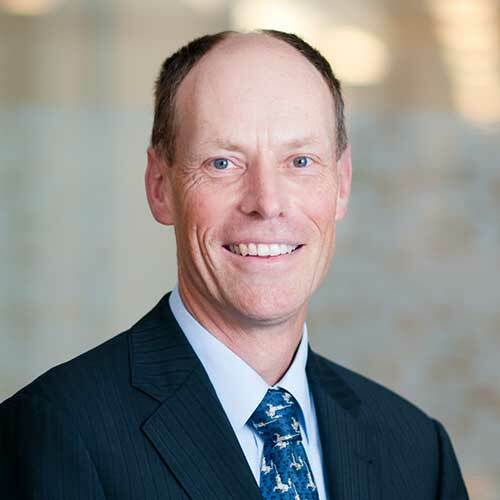 Professor Ian Harper was appointed Dean of Melbourne Business School in March 2018. As an economist best known for his work in public policy, Professor Harper has worked with governments, banks, corporates and leading professional services firms. 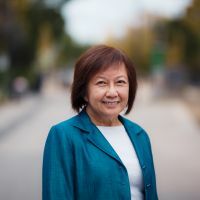 In August 2008, Professor Harper left academic life following a 25-year career, including 16 years in various roles at Melbourne Business School. In recognition of his service to the University of Melbourne, Professor Harper was elected Emeritus Professor on his departure. He was appointed to the Board of the Reserve Bank of Australia in July 2016. Professor Harper served as inaugural Chairman of the Australian Fair Pay Commission, and was a panelist on the Independent Review of State Finances in Victoria. He was a Partner of Deloitte Access Economics and chaired the Australian Government's Competition Policy Review. 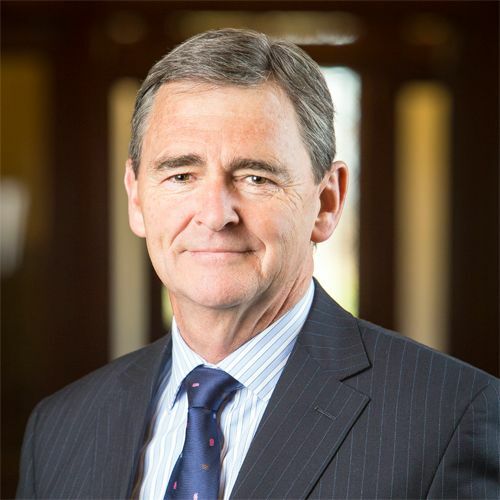 John Brumby has immense experience in public life serving for more than 10 years as Treasurer and then Premier of Victoria (2007–2010), six years as Leader of the Victorian Opposition and seven years as Federal MHR for Bendigo during the period of the Hawke Government. Since retiring from politics, Mr Brumby has accepted a number of Board positions as well as a joint appointment to both the Melbourne and Monash Universities as a Vice Chancellor's Professorial Fellow. 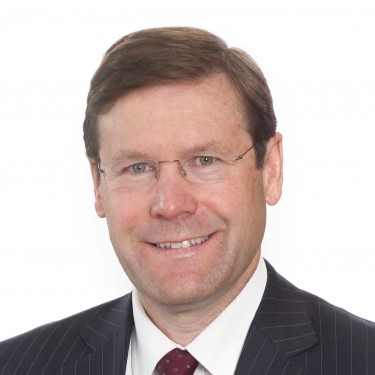 He is Chairman of the Motor Trades Association of Australia (MTAA) Superannuation Fund, an Independent Director of Huawei Technologies (Australia) Pty Limited, a Director of Citywide Solutions Pty Ltd and since January 2013 the Chairman of the COAG Reform Council. In addition, Mr Brumby is the Chairman of Trustees of the Joe Welch Bursary Trust, a Board Member of the Fred Hollows Foundation, an Australia Day Ambassador and a Member of the Leadership Advisory Board of the Australian Regenerative Medicine Institute (ARMI) at Monash University. 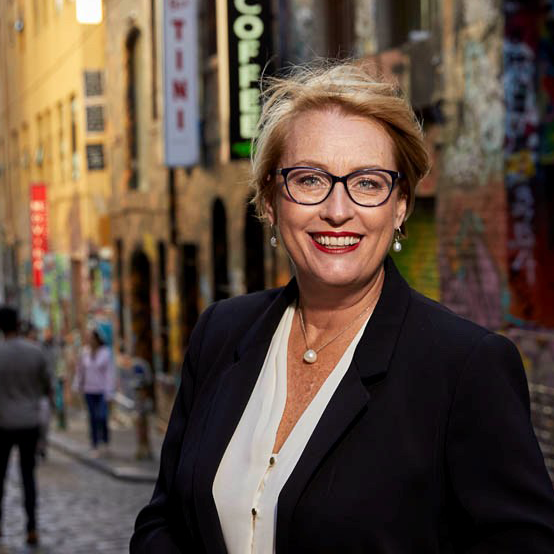 Sally Capp was elected Lord Mayor of Melbourne in May 2018 and was the first woman to be directly elected as Lord Mayor. Sally was also the first woman to hold the post of Agent-General for Victoria in the UK, Europe and Israel. She has also served as the CEO for the Committee for Melbourne and COO of the Victorian Chamber of Commerce and Industry. Sally began her career as a Solicitor, after completing Law (Hons) and Commerce degrees at the University of Melbourne. 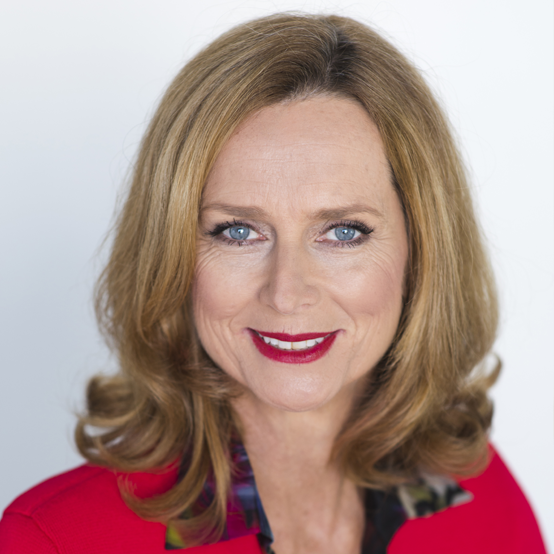 Sally has held senior roles at both KPMG and ANZ, and she took the small business she co- founded to the ASX. Most recently she was Victorian Executive Director of the Property Council of Australia. A passionate Magpies supporter, in 2004 Sally made history as the first female board member of Collingwood FC. She is involved in a number of charities, currently sitting on the board of the Olivia Newton-John Cancer Research Institute, the Mary Jane Lewis Scholarship Foundation and the Melbourne University Faculty of Business and Economics. Sally is also Honorary Patron of the Lord Mayor’s Charitable Foundation, Trustee of the Shrine of Remembrance, Member of the Council of Capital City Lord Mayors, Patron of the Royal Victorian Association of Honorary Justices, Patron of the Royal Women’s Hospital Foundation and Victorian Honorary Vice President of the Australia-Britain Society (Victoria) Inc.
Gloria is a retired Partner of Ernst & Young, Malaysia. Gloria is a former Council Member of the Malaysian Institute of Accountants (MIA) and the ASEAN Federation of Accountants. She was a Past President of the Information Systems Audit & Control Association (ISACA) – Malaysia Chapter. Gloria has been an active participant in University of Melbourne alumni activities in Malaysia. She is the current President of the University of Melbourne Alumni Association, Malaysia. She is a member of the Malaysian Institute of Certified Public Accountants (MICPA), a fellow of CPA Australia and a member of the Malaysian Institute of Accountants, and is on the Board of the Malaysia Deposit Insurance Corporation. Peter Gunn commenced his career as an interstate line haul truck driver, moving on to transport management and logistics. Over some 30 years, he started and developed a number of companies to ultimately form PGA Logistics Pty Ltd. He is now the Managing Director of the PGA Group Pty Ltd, a family-owned investment business. Mr Gunn completed a Bachelor of Commerce at the University of Melbourne and holds various positions, including Fellow of the Australian Institute of Management, Fellow of the Chartered Institute of Transport, Fellow of the Australian Logistics Council, Trustee of the Australian Road Transport Forum, Trustee of the Committee for the Economic Development of Australia and Member of the Prime Minister's Supermarket to Asia Council. John Handley is a Professor and Head of the Department of Finance at the University of Melbourne. He has also been a regular Visiting Associate Professor of Finance at the Stern School of Business at NYU. John teaches courses in corporate finance, derivatives and financial markets at both the undergraduate and graduate level. His research interests are in corporate finance, cost of capital, valuation and the design of financial securities. His publications appear in leading scholarly journals including the Journal of Financial Economics, Journal of Financial Engineering, Journal of Futures Markets, Australian Journal of Management as well as the Harvard Business School Case Collection. He has presented papers at various domestic and international finance conferences and provided expert advice to a range of corporate, government and professional clients. Prior to joining the University of Melbourne, John worked in the corporate finance team of an international investment bank. 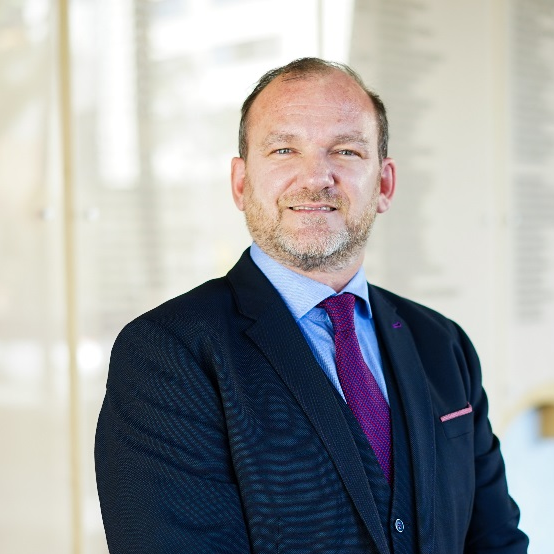 Paul Jensen was appointed as Deputy Dean of the Faculty of Business and Economics on 1 October 2016. Professor Jensen is responsible for the Bachelor of Commerce and Bachelor of Commerce (Honours). He leads curriculum, program development, student support, knowledge transfer and collaboration with other faculties. He is responsible for Faculty academic staff matters. Paul's current research interests are innovation, science policy, and technology markets. 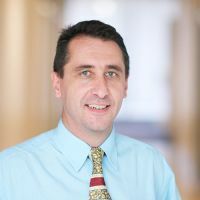 Much of his research has a strong public policy focus, and has been published in leading international journals such as RAND Journal of Economics, Review of Economics and Statistics, National Tax Journal, Oxford Economic Papers, Journal of Law & Economics, Strategic Management Journal, Cambridge Journal of Economics, Economics Letters, Health Economics, and Industrial and Corporate Change. In addition, he has undertaken commissioned research for IBM, the OECD, the European Commission, Asialink and the Victorian Department of Premier and Cabinet. 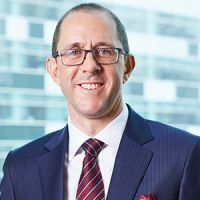 Chris Leptos has been a Senior Partner with KPMG, and Managing Partner Government at Ernst & Young where he had national responsibility for leading the public sector practice. His other Board roles include Chairman of .au Domain Administration Limited, President of the National Heart Foundation, Deputy Chairman of Flagstaff Partners and Non-Executive Director of Arete Capital Partners. He is also a member of the Advisory Council of Asialink and a Governor of The Smith Family. Chris has an MBA from the Melbourne Business School and a Bachelor of Commerce from the University of Melbourne. He is a Fellow of the Australian Institute of Company Directors, Fellow of the Institute of Chartered Accountants, and Fellow of CPA Australia. In 2000 Chris was designated a Member of the Order of Australia for services to business and the community. Matthew Schofield is a Chartered Accountant and since December 2009 has been a Partner of ShineWing Australia, the Australian branch of China's largest Indigenous Accounting Firm, ShineWing. Matt is an ASIC Registered Company Auditor and has previously been the Auditor of the Australian Red Cross Society and ANZ Trustees Common Funds and Charitable Foundations. With the experience of 19 years in the Professional Services sector, Matt has previously been an Audit Partner at BDO and Deloitte. In his role as a registered company auditor, Matt has extensive experience in the audit of small and mid cap ASX listed Companies, and large Chinese enterprises and their Australian based subsidiaries. In his spare time Matthew engages in Chinese Studies at the Confucious Institute, and is a keen follower of the Melbourne University Cricket Club having been a past player, and Director of Cricket at Melbourne University. 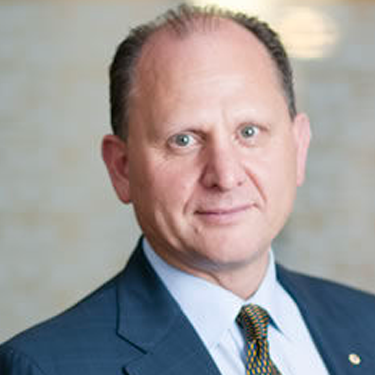 Rupert Myer is the Deputy Chairman of Myer Holdings Ltd, is a Director of AMCIL Ltd, Director of the Creative Partnerships Australia Board, and the Chairman of Nuco Pty Ltd.
Mr Myer serves as Chairman of the Australia Council. In addition, he serves as a member of the Felton Bequests Committee and as a board member of Jawun – Indigenous Corporate Partnerships, The Myer Foundation and The Australian International Cultural Foundation. James Riady is CEO of the Lippo Group of Companies, which is involved in banking, securities, hotels, property and property development, health care, multimedia, business publications and communications. Dr Riady is the founder and Chairman of the Pelita Harapan Educational Foundation, which operates two universities and 20 K–12 schools. Dr Riady is the Deputy Chairman of the Indonesian General Chamber of Commerce and Industry (Kadin Indonesia), Foundation Member of the World Economic Forum, Switzerland and also a Member of the International Business Council. He was Ambassador at Large and Special Envoy of the President from 1988–2000 and a member of the Peoples' Consultative Assembly (MPR) from 1988–2000, both in the Republic of Indonesia. Dr Riady was awarded the Australian Alumni Award for Entrepreneurship in 2008 by the Australian Embassy in Jakarta. He completed his Bachelor of Commerce at the University of Melbourne, and has received a Doctor Honoris Causa from both Ouachita Baptist University and La Trobe University. After completing her undergraduate degree, Naomi worked for a number of corporations in different marketing roles, including IBM, Apple, KPMG and Ansett Airlines. She started her first business, a marketing consulting firm, in 1996. In 2001 Naomi founded RedBalloon which was a pioneer in the online e-commerce space. Naomi co-founded The Big Red Group in 2017 which incorporates RedBalloon Australia & NZ, Redii.com, Adrenaline, and Marketics AI (Albert). It now serves an experience a minute and is considered the third largest experience marketplace in the world. Naomi is the author of two best-sellers: Live What You Love, and Ready to Soar, and is a judge on Shark Tank Australia. She has close to 3 million people reading her content on the business platform LinkedIn. Naomi became a Governor of the Cerebral Palsy Alliance in 2013 and also serves on a number of industry advisory boards. Nasser Spear is GL Wood Professor of Accounting and the Deputy Dean (Melbourne Business School). His previous positions in the Faculty include Associate Dean (Global Engagement) and the Head of the Department of Accounting. Professor Spear's research interests cover capital markets, security valuation, oil and gas accounting, and international financial reporting. He consults on broad accounting issues as well as quality assurance and accreditation in higher education and has led the establishment of several business schools. Professor Spear received his PhD from the University of North Texas and has published in leading international accounting journals such as the Journal of Accounting and Economics, Contemporary Accounting Research, Journal of Accounting Literature, International Journal of Accounting, Journal of Business Finance and Accounting, and Management and Information Technology. He co-edits the International Journal of Accounting and sits on the advisory boards of a number of international journals. Ben is the Managing Director & Market Leader for Mercer in the Pacific across the firm's domains of Health, Wealth and Career. Ben is also the Chairman of Marsh & McLennan Companies in Australia, representing Guy Carpenter, Marsh, Mercer and Oliver Wyman. 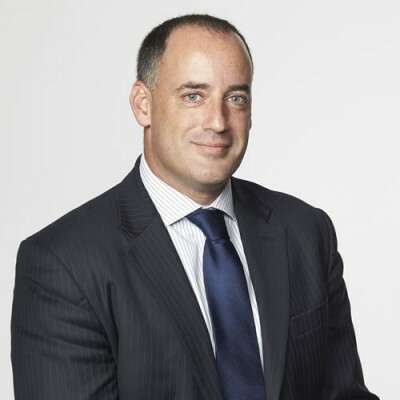 Prior to this, Ben held numerous senior leadership roles over a career spanning more than 20 years with the Group, including Mercer's Financial Services business in Australia and New Zealand, Market Development in Asia Pacific and Health & Benefits in Australia, New Zealand and India. He has worked for the Group in four countries and across seven business lines/functional areas. Ben is a Director of five Mercer Boards in Australia and New Zealand, including the Trustee of the AU$20 billion in funds under management Mercer Super Trust. He Chairs two of Mercer's Boards and sits on the Board Risk Management committee. Ben was appointed to the Faculty of Business & Economics Advisory Board with The University of Melbourne in October 2015. Previously, Ben was a Non-Executive Director of the Affiliation of Superannuation Providers from 2012 when Mercer joined the affiliation as a founding member until April 2015. Ben holds a Bachelor of Commerce with Honours (University of Melbourne) and a Master of Business Administration (Melbourne Business School). He is a Fellow of the Australian and New Zealand Institute of Insurance and Finance.